Travel time by car About 20 mins, Car Parking at the castle. Disabled Facilities Wheelchair access to Museum ground floor (75% exhibits), café and some of the park. Disabled persons' vehicle parking and toilet. Closed Christmas Day, Boxing Day, New Years Day, Good Friday and Mondays except Bank Holidays. The first house on the site was called Cliffe Hall and was built from 1828 - 1833. In 1848 the property was bought by the Butterfield family who had made their money in the textile industry, owning three mills in Keighley. Henry Isaac Butterfield (1819 - 1910) inherited the house in 1874, and began to transform the house renaming it Cliffe Castle in 1878. 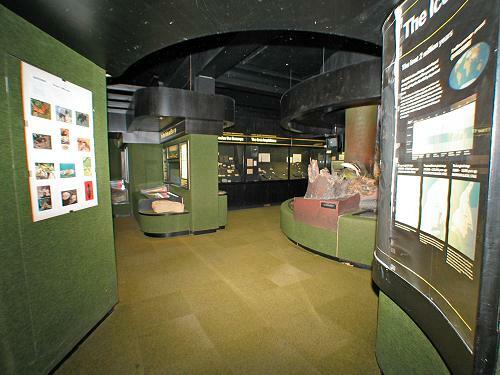 The museum houses displays of local fossils and geology; crystals and minerals; natural history; local bygones, stained glass, pottery; furnished Victorian rooms and temporary exhibitions. 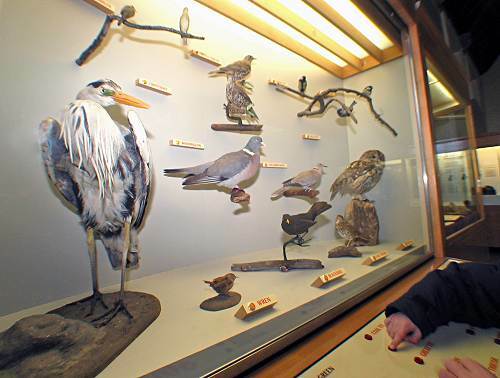 There are many cases of stuffed animals in the museum some of which are a legacy from the Victorian era when protection of wildlife was not an issue. Today, the museum's approach to taxidermy is not to deliberately kill wildlife, any animals used are ones accidentally killed such as on roads. You can find out about minerals and how they grow and about their chemical elements. 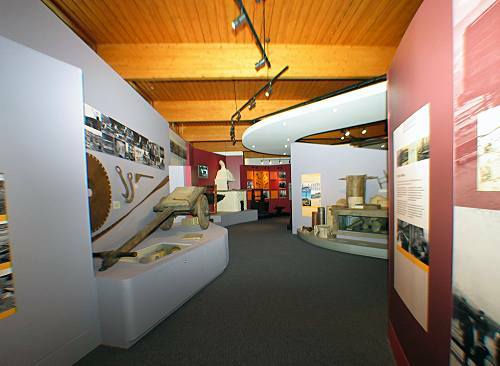 Some of the exhibits came from the collection of local businessman George Hinchcliffe. 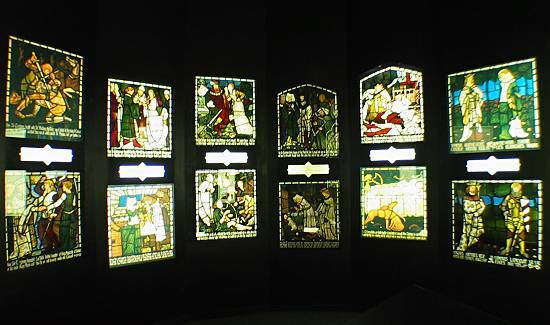 In the upper gallery there is a room with stained glass. They came from the Temple Street Methodist Chapel in Keighley which was dedicated in 1921. They were made by Morris and Company of London. The museum has a small shop, outside in the grounds there is a café, aviaries, greenhouse and children's play area. I have very mixed feelings about Cliffe Castle and its park. On the up side, what is there is great - the grounds, the museum exhibits and the museum staff, etc, etc. On the down side, maintenance to pick up litter (and security to stop litter being dropped and other vandalism) is totally inadequate, and the official vandalisation of the formal garden near the main entrance is appalling. Wild flowers are wonderful, but not in a classic formal garden. The original rose beds should be reinstated and the wild flowers located somewhere else. The sign posts are, like the road to hell, a monument to good intentions, but anyone who has used the park regularly in the recent past would know they'd be vandalised, as has happened. In any case, exploring for a quarter of an hour - a very pleasant experience - make them redundant. Finally, like Cartwright Hall and Lister Park, the heritage of this park is from our textile industry past. Why was the textile machinery hall in Cartwright Hall's basement removed and why is there nothing of that kind offered at Cliffe Castle? The wool industry may have moved to the far east, but this part of our past should still be commemorated. Renewal of Cliffe castle's electrics may well be justified, but that adds little to the experience in this park. Removing the litter would do precisely that! Its a shame i came back to cliff castle after 20 years from australia and half off the park has disappeared..
1.The museums inside tropcial fish and plants have gone. 2. The giant twin trees at rear entrance gone. 3. The twin marble fountains in ruins. 4. Rose plants variations at the bottom gone. 5. The football ground and swings at the bottom of park gone. 6. No public toilets and freash water. Enjoyed to see the mueseum open, beehive still there, different cultures and faiths and my favorite largest tree in keighley. Cherished great memories here. been and it was a great day out,my daughter said 'just a wish they did weddings here , as the place is wonderful. and the grounds too'. I loved cliff castle when i went with my class in school we all hadfun. i went 2 cliff castle and it was awsome i especilly liked the play room with the big drum. I want to know a bit more about cliff castle. I mean the whole of it and not just the museum. I was taught at school that it was a real cast;e during the viking times. Is it true? Can someone please reply. I visit cliffe castle almost every week with my hadicapped daughter who loves the cafe. the only complaint is that the cafe is not advertised as well ss it should be. this means that lots of visitors miss out,great place to visit. Cliffe Castle is a great place to visit. I lived in Keighley for the first 24 years of my life and I've spent a lot of time there. It's a truly wonderful place. The only problem is actually getting there. You must use transport, preferably a car. Whatever you do - don't walk. It's a sad state of affairs but I myself, and many of my friends have been mugged and/or attacked en route to Cliffe Castle. I am a decendant of the butterfield family, and yet just now I found out about the castle. I only live 10 minutes away from cliff castle. I used to always go as a child and I loved it. The park is beautiful and the museum is fab! Today its a beautiful day, so I'll be taking my 2 nephews and niece for the 1st time. I think I'm more excited than rhe children! i went with my school we all loved it! I spent lots of time at Cliffe castle as a child, and since visiting the musuem and cafe and looking at the floral displays, as a child I remember one particular path through one of the flower beds had stepping stones, the tunnel by the side of the cafe could be quite scary on a miserable damp day, and in the winter sleding down the big hill near where the toilets are and trying to avoid the flowerbed at the bottom of the hill otheriwse you ended up kneeing in the flowerbeds. i really enjoyed cliff castle, the museum was really good the rock collection and light show thing made it for me, not forgetting the stuffed animals! i have to mention the cafe, the service was great along with the staff. i really enjoy walking there, it is a great place to take your children. Cliff castle is a amazing place to be. check out all the wonderful things. This is good for kids when they learning about history etc. so go and check the wonderful Cliff castle OUT!!!!!!!!!!! its only in keely not that far best place to live so hurry up get moving lol! A good place to learn, my husband found it invaluable when he was studying geology at Bradford University. My two sons spent many happy hours there as children, and now my grandchildren and great grandchildren are finding it a fascinating place to visit. They take part in the many art and creative projects and just generally looking around. Keep up the good work, in these times of financial restraint it is good to have something which is free for all. 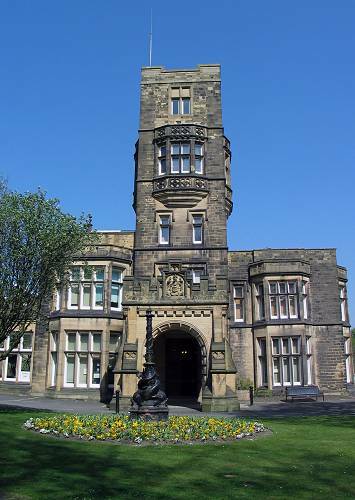 I have visited Cliffe Castle as part of my family history research into the Butterfield family,as I have relatives who all came originally from the Haworth/Keighley area but later moved over to enemy territory in Lancashire! (not all that far away into the Burnley/Accrington areas) I am not sure whether we are related to this particular line of the Butterfields, but if we are, we are still waiting to inherit a vast fortune! Well I can still dream, and walk round the lovely Cliffe Castle. Steve Butterfield. I have just come back from Cliffe Castle and its AMAZING! There are some HUGE chandeliers. I cannot belive it was actually a house. My favourite part of the trip was the Crystals & Minerals because they were so sparkly.I also liked the stuffed animals.They had stuffed hares,bats,a badger,ferrets,a swan and her cygnets,ducks,fish,lots of different birds and loads more. 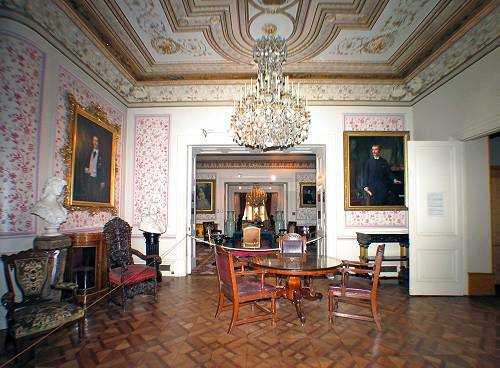 I would give this museum 10/10 because it has lots and lots of things to look at and you learn alot about Henry Isaac Butterfield who owned the house. I would recommend this to people who like history!!! it is a cool museum it is the best museum i have ever been to. i liked the stuffanimal exhibition because i am learning about it. i have been about 10 times and it has been raly cool. Visit regularly with grown up family when they are home. Love the displays and exhibits. Fabulous history. Very approachable staff. Spent many happy hours here as a kid,and took my own kids on wet Sundays. They loved it and learned a lot as well! Thank you v.v.much!!! When i was a kid growing up in kly i was at the castle every weekend with mi mate jimmy, we climbed 90% of the trees in that garden and chucked cheggies at all the kids walking past, we had a great time there, the trees are one's near the tower entrance to the right at the top of the steps as u walk into the main block. When i was last back in KLY i looked at the trees and the fear of looking up let alone looking down was to much, hey i climbed them and am still here not i am far too big to even get the 1st step. I live over sea's now and come home every 10 years or so and when i walk into the grounds the smell is still the same. Thats my memory of CLIFF CASTLE. I have lost count how many times i have been there, but i still always find something that i have not seen before. I think one of the best parts of the museum is the crystal and rock collection!!! This is such an important place for me. Mrs heap took me there from Lees CP School in the sixties. I had lunch in Cliffe Castle Park when I was in my teens from holy Family. I played in Haworth Brass Band when they did concerts there in the seventies. I took my children there in the 0000s. Just go and enjoy! 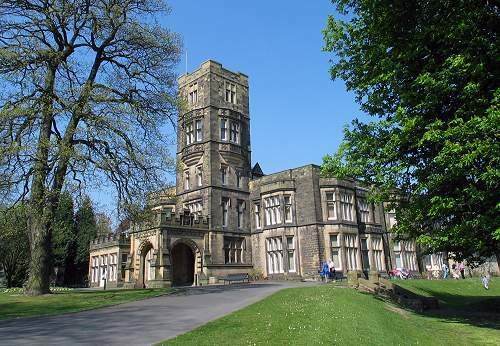 Cliffe castle is a great place to visit in the summer and winter. it is great how they have bees in a box making honey. the staff at cliffe castle are great. As a child i spent many happy summer days picnicing in the grounds, enjoying the castles attractions, addoring the birds and many winter days sledging down the hills in the grounds. Cliffe castle is a wonderful day out at any time of the year, and a place i hold dear. I cant wait to return!!! I live up the road from Cliffe Castle so im a regualar visitor and everytime i find it a wonderful place to be. A really great place for a day out. My 3 year old daughter and I find it so friendly and it's the perfect place for a rainy day, you can spend hours looking round the different exhibits. Deserves its reputation as one of the area's top museums. 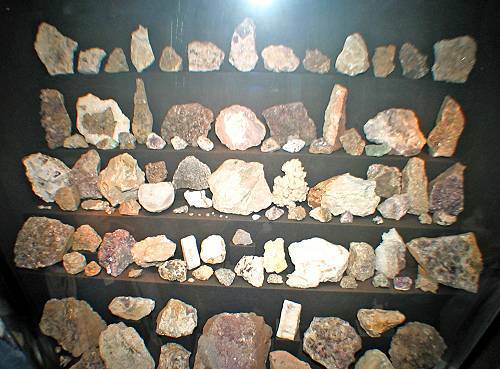 Great geological collection. A very interesting museum indeed. my eldest daughter is now 12 years old, we have visited frequently since she was a babe in arms. each time we visit we see something which we havent spotted before. the staff are friendly and informative and we love our picnic in the grounds too!!! with 3 children now, each one becomes excited when i tell them we're off to cliffe castle!! super! I spent many weekends when i was a little, running around the park, whatching the peecocks and looking round the museum. I was amazed at the furnished victorian rooms, and scared of the giant crock. All in all it is a fantastic day out for a family. I am no longer living in keighley but i will be returning with my children (when i have some) to show them what i loved so much.